The Ernst Klenk Symposium in Cologne was about ‘Tissue regeneration, wound healing and fibrosis – Translating basic concepts into regenerative therapy’ this year and included a fantastic program with a keynote lecture by Sabine Werner. See → Klenk Symposium 2017. 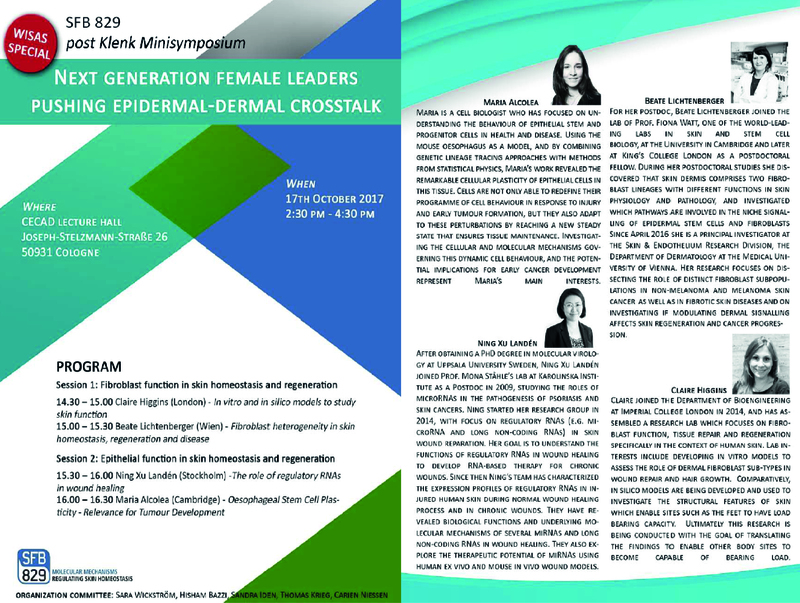 Beate had the opportunity to present some of our newest data about fibroblast heterogeneity in wound healing and fibrosis at the Post-Klenk Minisymposium ‘Next generation female leaders pushing epidermal-dermal crosstalk’.